Earache or ear pain also known as Otalgia is a sensation of pain that originates inside the ear, and it is one of the most common health issues seen in children. Earache is a menacing health condition that can either be constant or come and go. It differs in intensity and can range from a burning sensation to a sharp or dull pain in the ear. It can affect both ears at a time or just one ear. Ear pain is not always associated with ear diseases; it can be caused due to several other conditions like sinus, inflamed tonsils, nose infections, impacted teeth, etc. The source of earache can be in the external, middle or inner ear, but it becomes difficult to distinguish the source of the pain because of the pain experienced. 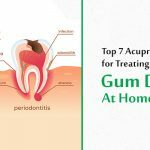 Although painkillers are eardrops are usually administered to treat earache, but it can also be treated and cured in a natural and self-healing way with acupressure. Although, painkillers and eardrops are a quick solution for ear pain, but they can never be a permanent solution to the problem. Here are some of the most potent acupressure points for earache treatment. This is one of the most powerful acupressure points for ear pain that is widely used in treating hearing issues as well. 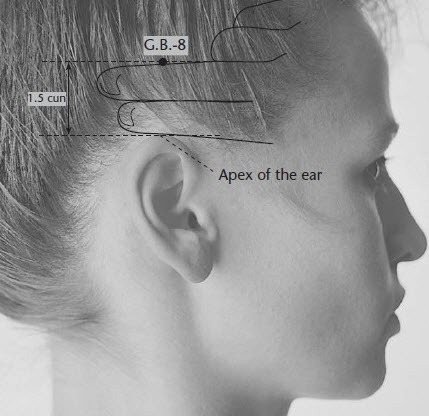 This point is located right in front of the ear lobe, at the top of the ear. Stimulating this point on both sides of the face for five minutes using the fingers can help in relieving earache, feeling of pressure inside the ear, jaw problems and toothache. This point is also useful in treating migraine and headache. This is yet another important acupressure point for ear aches treatment that is popularly used in ancient Chinese treatment. This point is located directly below the ear gate point, in front of the opening of the ear. It is situated in a depression that deepens when the mouth is opened. Stimulating this pressure point on both sides of the face using the fingers for 3 to 5 minutes helps in relieving pressure inside the ear, earache, jaw pain, hearing problems, toothache and headache. 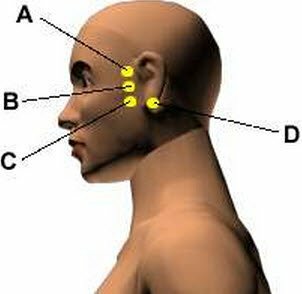 This is a potent point of acupressure for earache that is located right below the listening palace and is just in front of the ear lobe. Putting pressure on this point on both sides periodically helps in relieving ear fullness, ear ringing, heaviness of head, headache, dizziness and ear itching. 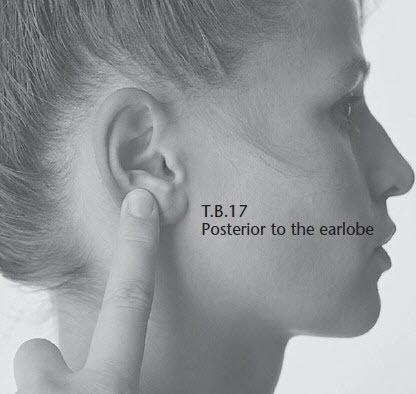 This is a functional acupressure point for ear aches relief that is located in the indention right behind the earlobe. Stimulating this point on the back of both the ears simultaneously for 3 to 5 minutes helps in relieving earache, facial spasms, jaw pain, itchy ear, swollen throat, mumps and toothache. Hundred Convergences is a potent acupressure point for earache treatment that is widely used in traditional Chinese medicine. This point is named so because it is believed that this point is capable of curing 100 diseases. This point is located at the top centre of the head. Stimulating this point by applying pressure can help in treating ear ringing or tinnitus, dizziness, vertigo, fatigue, brain fog and anxiety. It is also useful in treating eye disorders, neurological and emotional disorders and seizures. 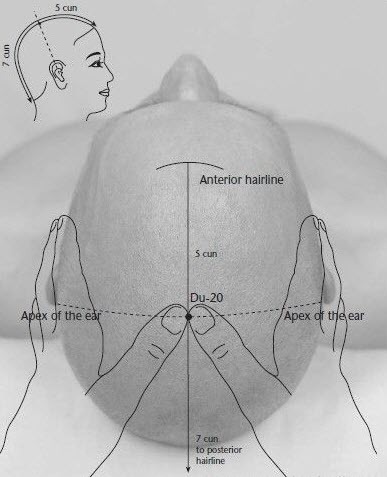 This point is a potent acupressure treatment for earache that helps in neutralizing the damage caused by toxins. 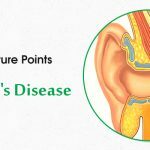 This pressure point helps in curing tinnitus caused by prolonged use of medicines like painkillers, antidepressants, birth control pills, etc. 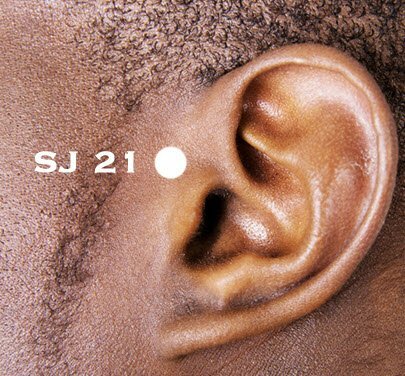 This point is located in a straight line with the temple, two finger widths above the highest point of the ear lobe. Applying pressure to this point on both sides of the head relieves ear fullness, heaviness of head, tinnitus ear ringing, facial pain, vertigo, migraine headaches, visual problems, nausea and vomiting. 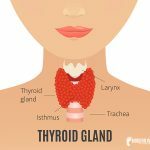 This is yet another important point of ear acupressure that is situated on the side of the head, one finger width away from the ear, in a straight line from the middle of the earlobe. Stimulating this powerful acupressure point helps in curing all problems of the head and ear including headache and tinnitus. It also helps in relieving stiff neck, neck pain, twitching, and fullness of the ear, dizziness and vertigo. This is yet another important point widely used in ear acupuncture and acupressure. But it is best not to stimulate his point after the third month of pregnancy. 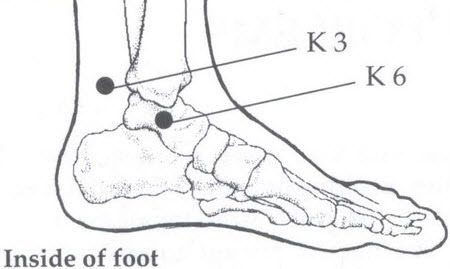 This point is located halfway between the inside of the ankle bone and Achilles’ tendon, at the backside of the ankle. Putting optimum pressure on this point in both feet simultaneously help in relieving earache, ringing in ear and pain related to wisdom tooth. 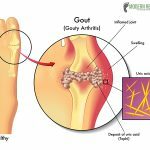 Now, get soothing and lasting relief from the problems of earache, ear fullness, tinnitus and ear infection naturally and prevent its re-occurrence with the help of these ear acupressure points. Thanks a lot Bipasha. This was something my husband has been looking since the past weeks. I wanted to ask, if any one know the acupuncture, is it safe for him to go for a self-treatment? Yes this is very easy to follow and understand. 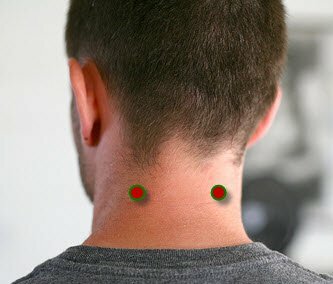 Is there is any accupressure points for sexual disorders for men and women. 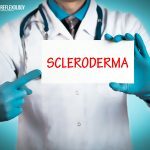 https://www.modernreflexology.com/acupressure-points-for-erectile-dysfunction-impotence/ Check out this article for best results.